The Hamilton Tiger-Cats released six players Tuesday, including Canadian receiver Spencer Watt. Other notable names released by the team included defensive backs Cassius Vaughn and Travis Lee, who saw action in the team's secondary last year, and defensive lineman Delano Johnson, who was part of the team's rotation up front last year. Defensive ed Mike McAdoo and receiver Franky Okafor were also released. Watt came to the Tiger-Cats as a free agent from the Toronto Argonauts ahead of the 2015 season. He was expected to bolster the team's national depth at receiver and perhaps even start before tearing his Achilles and missing the entire season. Healthy last year, Watt finished with 21 receptions for 211 yards in 18 games. 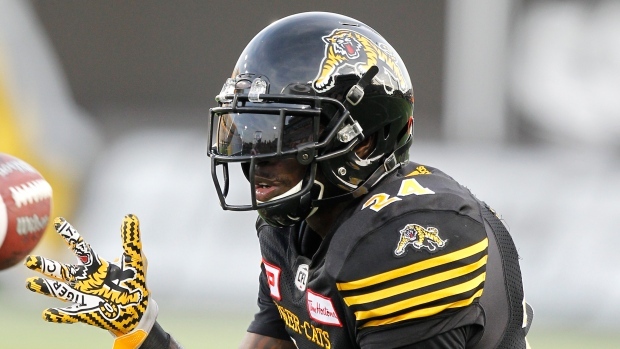 Vaughn played nine games for the Ticats after being signed mid-season last year, finishing with 26 tackles. Lee finished with 24 tackles in six contests. Johnson had nine tackles and a sack in six games last year.